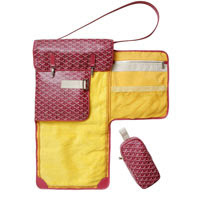 While it would be insanely fab to get a Goyard diaper bag such as this one featured in Forbes.com, I balk, no, I recoil at shelling out $3,000, just to have it made to order. Because this makes more money sense, Dear Hubby and I got this adorable Tokidoki messenger bag some months back for Berry. It's made of nylon so it's lightweight, and easy to clean. 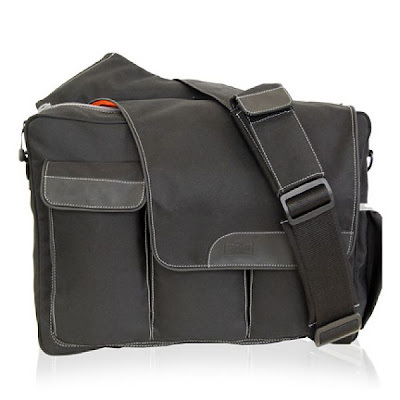 I chose a darker color so that Dada doesn't shy away from carrying this for Berry, hahahaha! With our little girl coming out soon, I can't wait to fill this with her stuff! Heehee! We also have a Diaper Dude nappy bag from the Yao family on rotation! I think Dada likes this more because it's more utilitarian and not cutesy patootsie. Thanks Ninong Boy, Ninang Lilian, Kaye, Kaka, Tom, and Frederic! 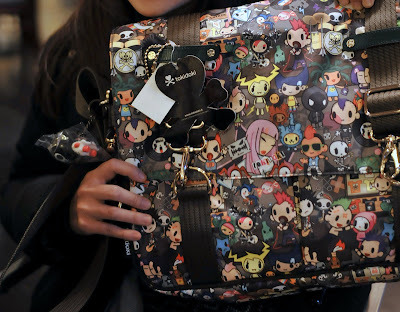 very cute tokidoki bag! and very good idea for baby, too! Thanks for the tip dbf!